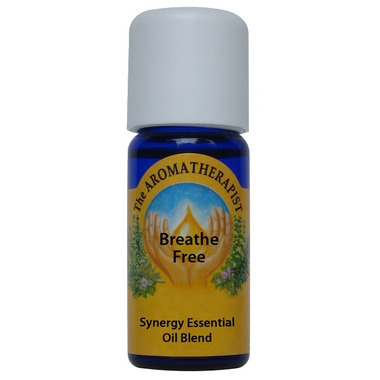 The Aromatherapist Breathe Free Essential Oil Blend is fresh, clearing and invigorating. Common Uses: This synergy was designed to help clear sinus congestion so that you can as the name prescribes ֖ Breathe Free. It can promote concentration and alertness and clear the drowsiness and cloudy head that often accompany congested sinuses. Blend of: Lime, Marjoram, Spike Lavender.